Georgina practises in all areas of family law. She accepts instructions in matrimonial finance and cohabitation disputes, children (public and private) and applications for injunctive relief under the Family Law Act 1996. Before qualifying as a barrister, she gained valuable experience working in the Family Department of Stewarts Law LLP, where she assisted in high value financial disputes and complex cases involving children. Georgina is developing a busy mixed family practice both in London and throughout the country. She frequently appears in both the High Court and the County Court. Georgina accepts direct access instructions. Georgina provides training and seminars to solicitors on developments in family law. In relation to disputes involving children, Georgina has considerable experience in acting for parents where mental health and substance misuse are central issues. She has particular expertise in cases where domestic violence, parental alienation and sexual abuse of children have been alleged. Georgina is known for her compassion, attention to detail and her excellent ability to build strong working relationships with her clients. Georgina acts for local authorities, children’s guardians and parents and has considerable experience in acting for clients where mental health and substance misuse are central issues. Georgina is building a strong matrimonial finance practice. She is instructed in complicated cases involving family companies as well as lower value cases in which a creative solution is required to resolve difficult issues arising from limited resources. She recently acted as junior counsel in the High Court. 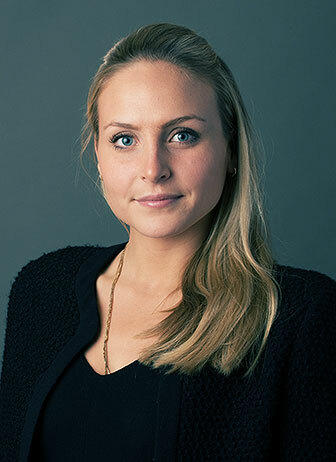 Georgina has valuable experience of complex issues such as the impact of a party’s bankruptcy on the matrimonial finances (having assisted on the case of Arif v Anwar & Anor  EWHC 624 (Fam)), freezing injunctions, enforcement and cases where the existence of assets outside the jurisdiction is disputed. Georgina is regularly instructed in cases which involve both Trusts of Land and Appointment of Trustees Act 1996 and Schedule 1 of the Children Act 1989 claims.